Elma EP20H Plus 0.5 Gal. Heated Ultrasonic Cleaner w/Pulse & Sweep Frequency, 1071653. A new product line from ELMA, the German Ultrasonic Equipment manufacturer. 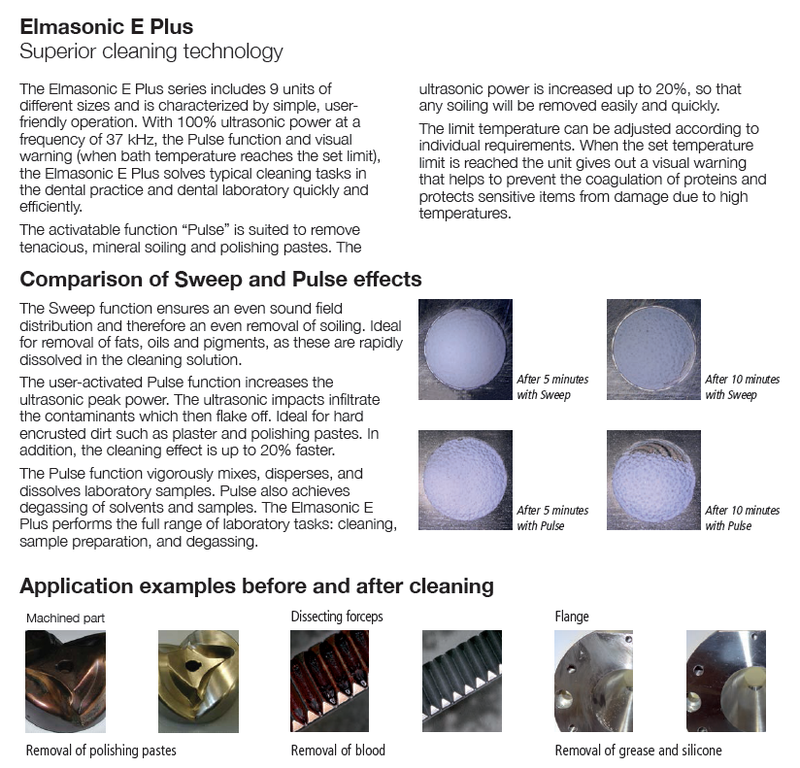 Powerful ultrasonic cleaning devices. The Elmasonic E Plus units are available in 9 different sizes, all with stainless steel casing. They have built in protection of the electronics against liquid splashes. From the EP30H upwards the units are equipped with heating and from the EP60H upwards they have a drain duct on the rear. 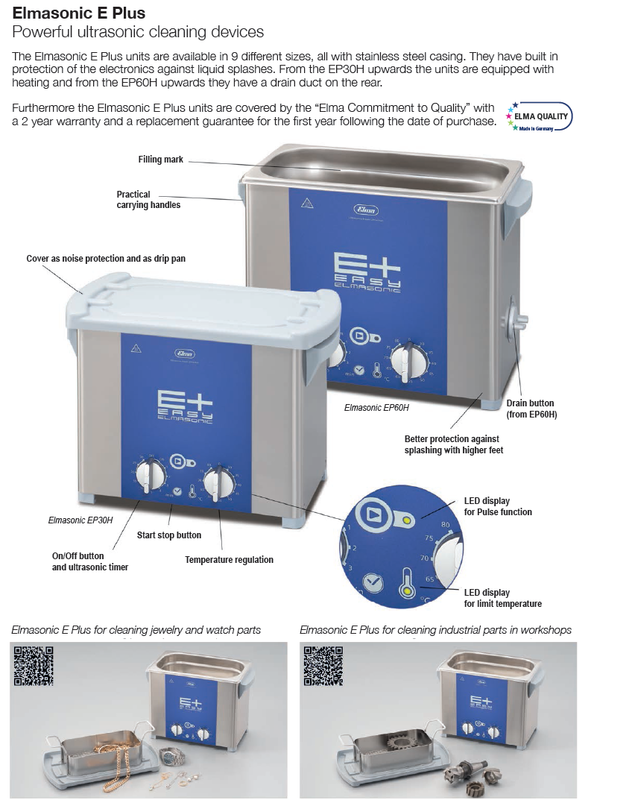 Furthermore the Elmasonic E Plus units are covered by the Elma Commitment to Quality with a 2 year warranty and a replacement guarantee for the first year following the date of purchase.